Search over 2,000 Homes for Sale in Central Florida. Find Central Florida Real Estate Listings, Foreclosures, Foreclosed Homes, Bank Owned and Short Sales. 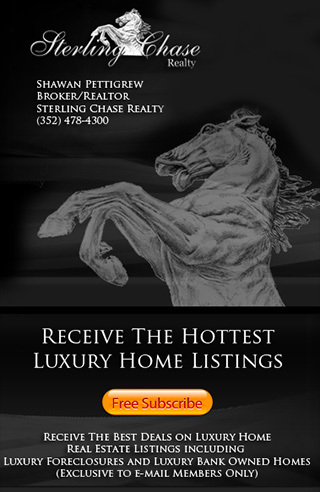 Sterling Chase Realty offers Proffesional Real Estate Services to home owners and home buyers throughout the Central Florida and surrounding Orlando areas. If you have any questions about Buying, selling or any other Real Estate needs please call us at 352-404-4622.